“It’s the Most Wonderful Time of the Year”…Christmas movies are on TV. I love Christmas Movies…my family…not so much. Usually it is not a problem unless there are two new movies on at the same time. I can watch one while recording the other. We have a TV in our living room and in our dining room in the basement, as well as one in our bedroom. My daughter purchased a TV of her own for her bedroom. We found the Dish satellite to be the best value in our area and when we switched to it we were given a box with a DVR for the two main TV’s and a plain box for the two bedroom TV’s. I would record movies on the TV in the basement while Mr. Frugalfish watched a game in the living room. I would watch the other movie in the bedroom. Then the others started recording shows they were missing, and when college boy is home, he watches the TV I normally record on. I got excited when Dish came out with “The Hopper”. I wanted it! I did a little research on the cost and realized I didn’t want to increase my entertainment budget that much for TV…I’d rather eat out! 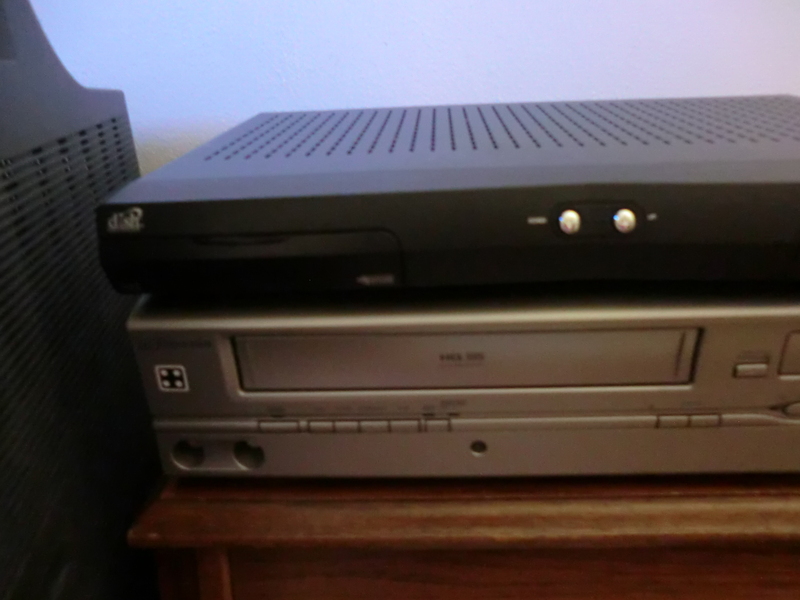 As I was dusting my bedroom TV, I remembered that each TV had a DVD player or a DVD/VCR combo hooked up to it. I smacked myself on the forehead and said, “Duh, we can record the shows or movies on the VCR!” The best part is I will have tapes of new Christmas movies to watch all winter long without tying up the hours on the DVD player. I don’t need “The Hopper”. The VCR player that is attached to the bedroom TV. This entry was posted in Money Saving Ideas, Use What You Have and tagged Money Saving Ideas, Use What You Have by Frugal Fish. Bookmark the permalink.